Becoming a long distance military landlord is fraught with unknowns, especially if the move was unexpected. The distance between you and your rental might best be served by a professional property manager. The relationship between a homeowner and a property manager is not one to take lightly. Working together to maintain and rent the property is an ongoing process, and each party must be clear with their expectations. Read further and put yourself in the shoes of both the homeowner and property manager to understand their thoughts about the relationship. It’s my job to maintain and care for your rental property. Competent and professional property managers want the best for you, so don’t take it personally when I suggest changes to the home that will attract the best renters. As the owner, if you have sentimental attachments to the house, take my advice and begin to call it “the property” to distance yourself from fond family memories that occurred in the house. As the property manager, I prefer to have a written schedule of walk-throughs or casual observances of the property. Devise a timetable that makes you comfortable with the aging or wear and tear of the house. If I'm able to catch small problems early, they likely will not become out of control and costly to you later. I know the area and the local vendors and contractors, so try to trust the judgment you’ve paid for. Typically, I will hire maintenance companies that have a reputation I'm familiar with. I'm willing to hear about your cost-cutting options, but I use the same reliable companies for multiple reasons. Although I realize it’s your option as a homeowner to change property managers if you aren’t satisfied with my attention to your rental, please know that you vetted me as a competent professional whose sole job is to look after the property. Please give me the full opportunity to manage the renters and the house’s needs successfully. There’s a good chance we didn’t want to become landlords, certainly not long distance landlords. Last-minute changes handed down from the military dictated the necessity for someone else to manage our home. We might be grumpy or sad about leaving. Be patient; we are learning how to manage the transition. We are a military family and with that comes unpredictable lifestyle changes for us and our potential military renters. As our property manager, we need you to be familiar with applicable laws, short term turn-arounds, and last minute details. Timing will be everything. As the homeowners, we want to have an easy and peaceful experience. Be aware that we have thoroughly checked into your services, reputation, and accountability. Friends and family supplied us with a recommendation for you and we are expecting nothing less than professionalism. Before hiring your company, we tried to be realistic as to the affordability and practicality of hiring a property manager long distance. As of now, this looks to be the best option for our rental needs; however, we're aware of the expenses involved and expect that as the property manager, you’ll do your best to manage the costs to the best of your ability. One thing we can all agree on: the mutual goal between long distance military landlords and property managers is to foster a relationship that supplies a predictable level of communication and follow-through. By understanding each other’s point of view and relaying clear expectations, a rental property yielding profitable and responsible tenants can occur. MilitaryByOwner was designed with military landlords in mind. 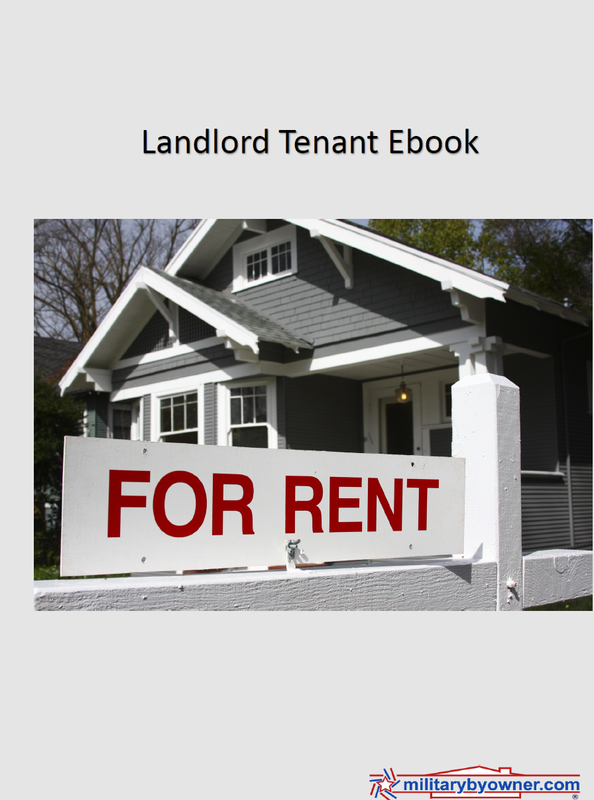 Not only is there the option for advertising, but legal documents are available, as well as blog posts and resource articles regarding the many aspects of owner/renter relationships.